Since the first use of decrepitation to investigate fluid inclusions, there have been many different instruments used for analysis. In the 1970's the Russians built many different instruments and used them in mineral exploration, but the results were poorly reported in the western literature. An instrument was developed in France around the late 1970's, but seems not to have ever been used seriously. 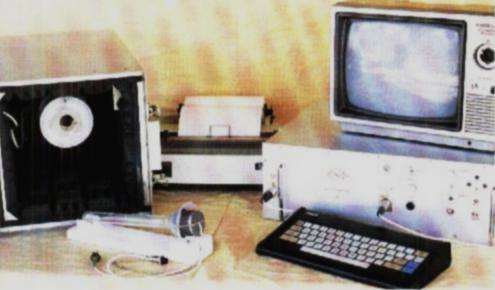 With the advent of microprocessors, Burlinson Geochemical Services (BGS) developed a completely automated, computer controlled instrument in 1980 (model 04). This instrument used completely digital electronics rather than analogue electronics. Another instrument was developed in West Germany around 1986 and used in a PhD project, but the instrument was destroyed while in use in Africa a few years later. 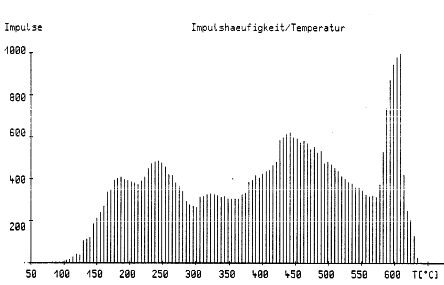 This is a demonstration result from that German instrument, which also used digital electronics and was based upon the BGS model 04 instrument. 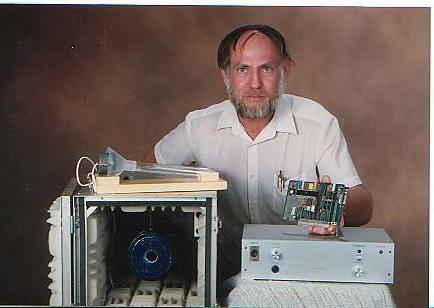 In 1990 Burlinson Geochemical Services developed a newly designed instrument (model 105), which again used completely digital electronics and operated in conjunction with a standard desktop computer. The Chinese also developed an instrument, perhaps based on previous Russian exchanges. Two of the Chinese instruments, pictured here, still exist and are in use in Beijing and Nanjing. 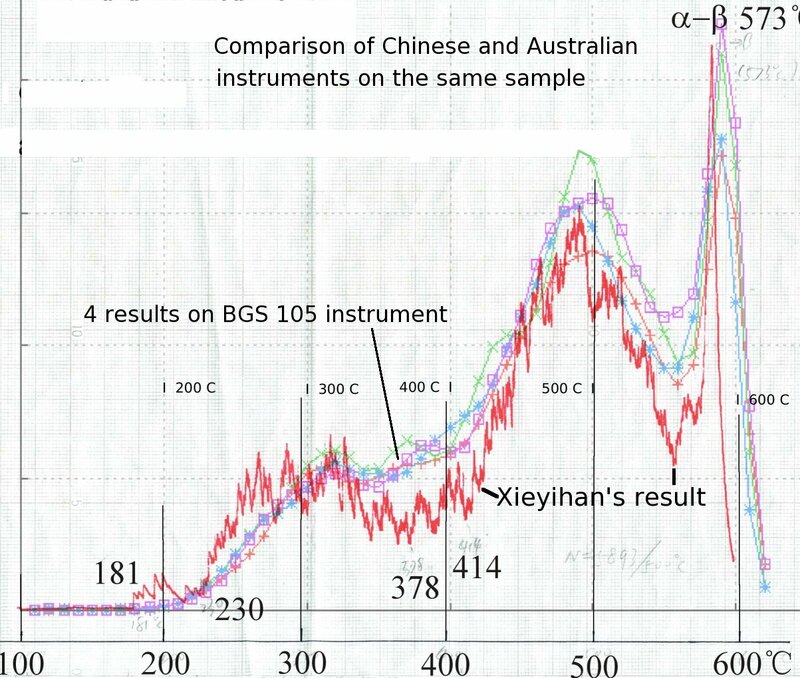 The Chinese instrument is built using analogue electronics and is very different to the fully digital instrument developed by Burlinson Geochemical. This provided an opportunity to analyse the same sample on both these instruments to verify that the data produced is solely a function of the sample used and completely independent of the analytical equipment used. At Burlinson Geochemical, a standard sample has been analysed daily for many years, and a quantity of this material was sent to Professor Xieyihan in Beijing for analysis. His result is in very good agreement with the results obtained on the BGS instrument, as seen in the comparison plot here. Clearly, the data produced by the baro-acoustic decrepitation technique is highly reproducible on entirely different instruments and by different operators. The decrepitation data is solely a function of the sample characteristics and is totally objective. 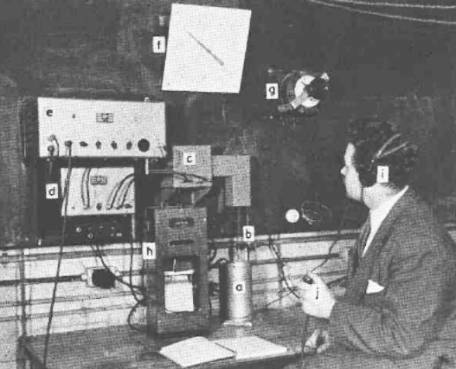 This confirms that the instrumentation in use and the method itself is objective and suitable for rapid, consistent and precise sample analysis as an exploration technique. Another design of decrepitation instrument is in use in Russia / Ukraine. 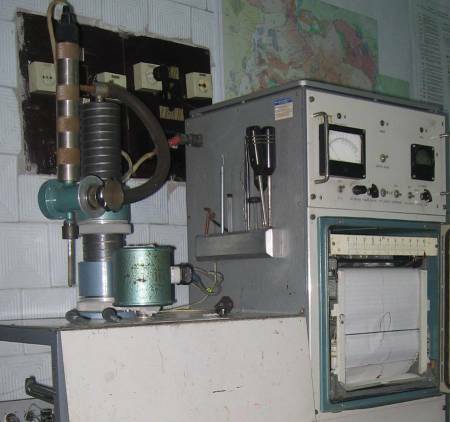 This instrument in Lviv, Ukraine uses analogue electronics but the decrepitation is carried out in a vacuum. In 2013 the paper chart recorder seems to have been replaced with a digital data logger. 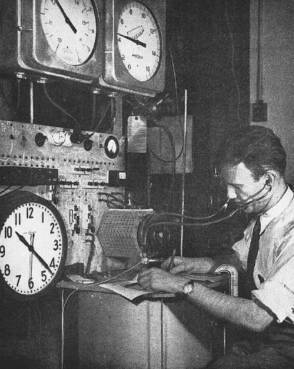 Comparison analyses between this instrument and the BGS model 105 instrument are discussed here.